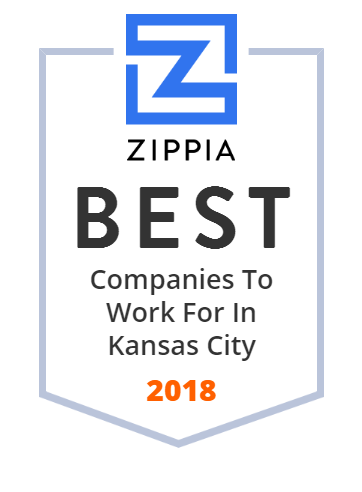 We hand-curated a list of the best companies to work for headquartered in and around Kansas City, MO using data on salaries, company financial health, and employee diversity. Lockton Companies Inc. is the world's largest privately held insurance brokerage firm, providing insurance, risk management and employee benefits solutions. In addition to its Kansas City, Missouri headquarters, Lockton operates more than 88 locations in 24 countries. Lockton currently employs more than 6,500 people worldwide. Saint Luke's Health System is a non-profit hospital network in the bi-state Kansas City metro area, located in northeast Kansas and northwest Missouri. H&R Block, Inc., or H&R Block, is an American tax preparation company operating in North America, Australia, and India. Kansas City Power and Light Company is an electric utility company serving the Kansas City metropolitan area. It is a wholly owned subsidiary of Great Plains Energy Incorporated of which it is the biggest component. The company traces its roots to November 1881 when Joseph S. Chick obtained the exclusive rights to use the Thompson-Houston arc lighting system in the counties of Jackson, Missouri, and Wyandotte, Kansas, for $4,000. The following month, the initial franchise to establish an electric works in the City of Kansas, Mo., was granted to Lysander R. Moore and later assigned to Kawsmouth Electric Light Company. Construction was begun in February 1882 on a power plant on a tract of land at the southeast corner of 8th and Santa Fe Streets in the West Bottoms. Kawsmouth Electric Light Company built quickly and, on Saturday night, May 13, 1882, brought electric illumination to the first 13 customers on the west side of Main Street in the downtown district. In 1885 the company reincorporated as Kansas City Electric Light Company. HNTB Corporation is an architecture, civil engineering consulting and construction management firm that was founded in 1914. Cerner Corporation is an American supplier of health information technology (HIT) solutions, services, devices and hardware. As of February 2018 its products were in use at more than 27,000 facilities around the world and the company had about 26,000 employees globally. UMB Financial Corporation is an American financial services holding company founded in 1913 as City Center Bank and based in Kansas City, Missouri. It offers complete banking, payment solutions, asset servicing and institutional investment management to customers. Shook, Hardy & Bacon (SHB), L.L.P. (previously Shook, Hardy, Ottman, Mitchell and Bacon) is a U.S. law firm based in Kansas City, Missouri. In 2012, The National Law Journal ranked the firm as the 87th largest in the United States. Polsinelli is an AmLaw 100 firm with more than 800 attorneys in 20 offices. Commerce Bancshares, Inc. is a Kansas City, Missouri, based U.S. bank holding company with branches of its Commerce Bank in Colorado, Kansas, Missouri, Illinois, and Oklahoma. Ad Knowledge based is to help people make their lives easier by gaining knowledge from the video. Engineers, architects and construction professionals delivering successful design, construction and consulting solutions for life sciences and advanced technology clients. Littler Mendelson P.C. is the largest U.S.-based law firm exclusively devoted to representing management in employment, employee benefit, executive compensation, and labour law matters. Littler also handles global mobility and immigration issues. The University of Missouri-Kansas City is a public research university in Kansas City, Missouri, UMKC is one of four system campuses that collectively constitute the University of Missouri, and one of only 2 with a medical school.